Ah, c’mon…hug it out, people. 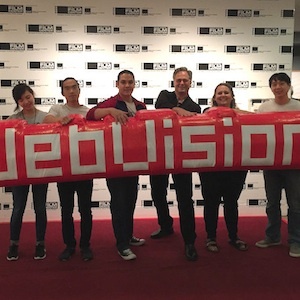 A few days ago, I had the pleasure of attending WebVisions’ Portland conference. 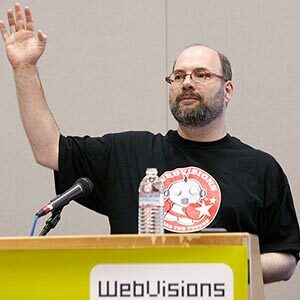 Over the past few years, I have gone to many web/UX/interaction design conferences. While this may be true of many web designers, I believe my experience at these shows is somewhat different because, simply put, I am not a designer; I am an editor. I work for a publishing company, commissioning books on web design and development. As part of my responsibilities, I attend conferences, listen to many presentations, and determine trends related to the design industry. After these shows, I typically never feel compelled to write about the trends that I observed. 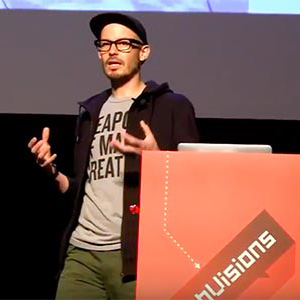 However, this year’s WebVisions was different, and the trends and themes I picked up on compelled me to write this piece. 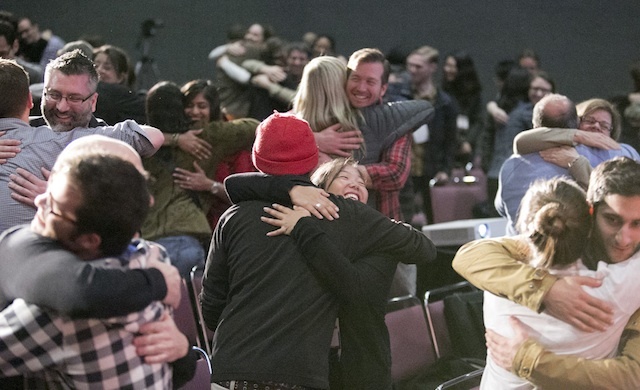 I felt compelled to write about WebVisions because I was moved by what I took away as the reoccurring theme of this show: Connection. No, I’m not talking internet connection or being connected to the web (although that’s part of it); I’m talking about different levels and different types of connection, which I’ve thrown into 3 heart-warming categories. Steve Fisher (“Creating Wholehearted Experiences”) presented a great talk about creating a whole-hearted experience with one’s design. He did this all through talking about connecting heads to heart, meaning that if you are able to connect deeply with everyone on the project team (client, vendor, audience), more creative and successful projects can live on—and he also snuck in some Walking Dead references, too, which were appreciated. His argument was that you can figure out how a person interacts with a device on a functional level, but what’s the experience there? Why are they using the device? What are the emotional reactions that motivate their behavior on the web page (i.e., swiping a finger or responding to a call-to-action)? What Fisher so aptly captured was reiterated by other presentations. Mark Wyner’s presentation, “Simplify the Handshake between Humans and Technology,” talked about designing for users and the context in which users are utilizing devices. Adam Harrell (“Changing Behavior by Design”) talked about tapping into the 16 basic human desires that people do that help them make decisions. Finally, Steve Gaynor ( “Gone Home: A Conversation on Indie Gaming”) developed a game that bucked the usual trend of appealing to gamers in a gaming culture and created something that appealed to people universally, people who love a good, progressive story that connects with them.